Yews (Taxus) is a beautiful dioecious evergreen tree with smooth reddish brown bark which peels off in flakes in older plants and creates an interesting trunk surface. The needles are flattened, shiny, dark green and 3.5cm long. The blooms are diclinous and dioeciously divided. The tree bears decorative “red” berries (drupes) that taste sweetish. However, caution must be taken as the other parts of this plant are toxic. English yew (Taxus baccata) is an evergreen conifer which is found in the great outdoors as a shrub or a multi-trunk multi-branch tree. 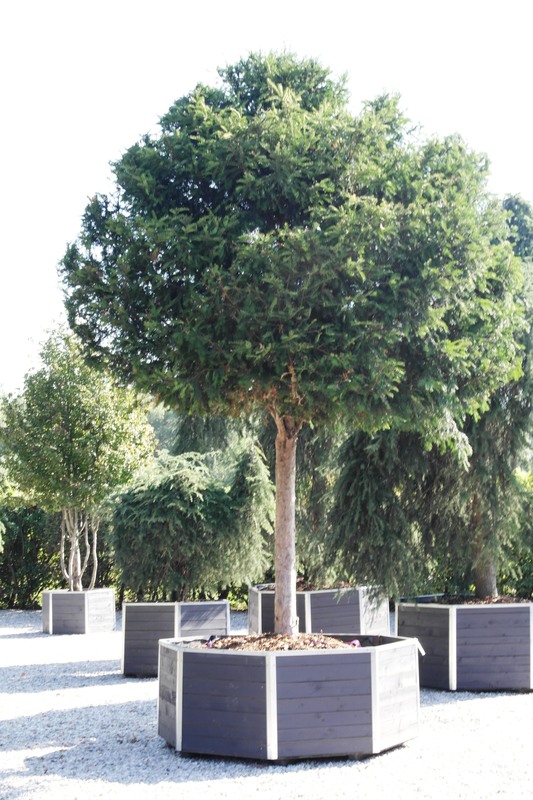 The yew included in our product portfolio is grown from the very beginning as a tall trunk tree; i.e. as a single-trunk tree. It is unique thanks to its unusual habit and size (old plants) which make it a rare species here in the Czech Republic. 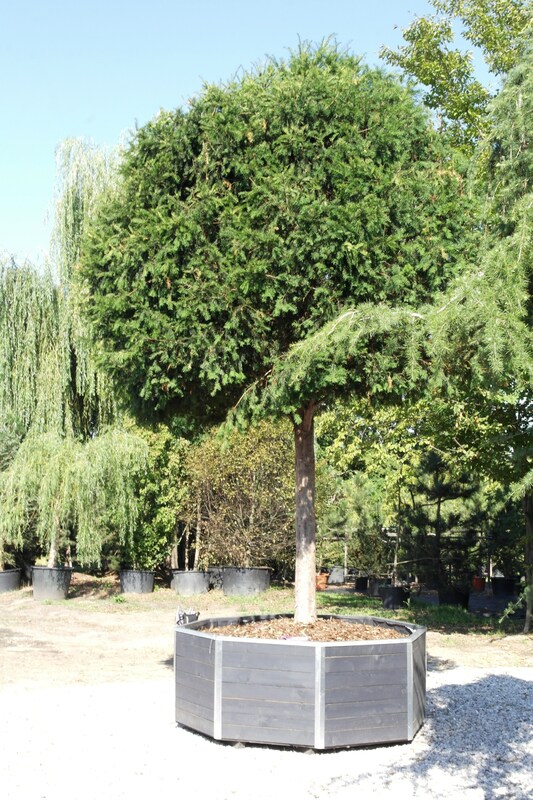 It is ideal for planting as an ACCENT WOODY PLANT. 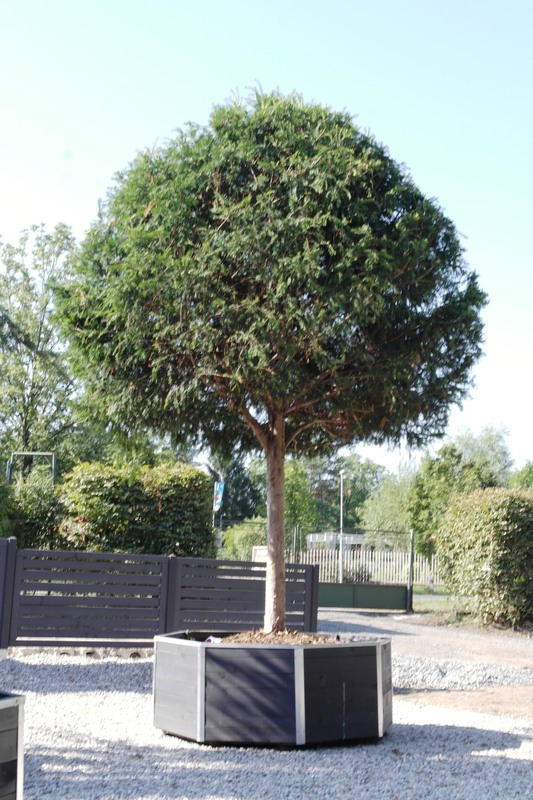 English yew is a resistant plant that lives to an old age of many years and that does not require any special location and does well even as a shade-grown plant. It likes lime containing soil, yet it grows well even in other soils. It does not tolerate hot or wet impermeable soils. It is suitable for cutting. 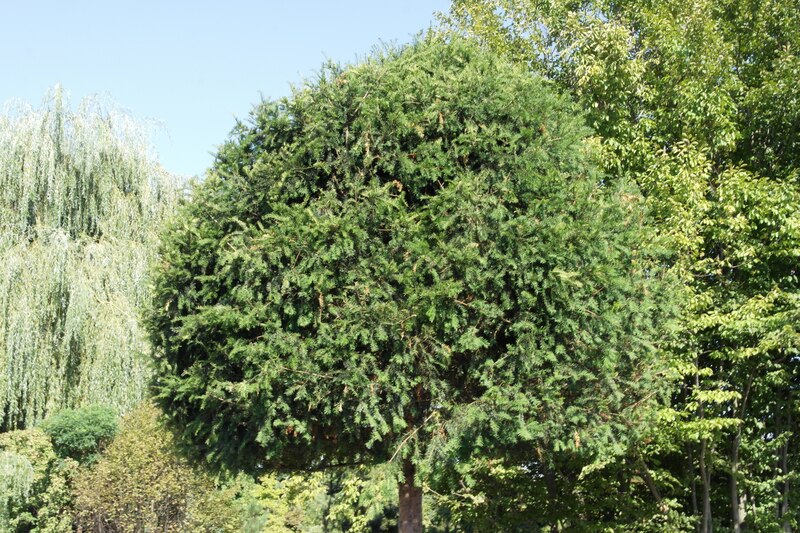 No other conifers are as easy to trim and shape as yews. This is why have been trimmed in hedges or as individual art topiaries. This rare yew which is included in our product portfolio can also be shaped in many ways. It prefers shade and grows at a slow rate, which makes it a perfect woody plant for shady locations or not-so-spacious. It is tolerant of urban pollution and is thus planted in urban parks or gardens. Thanks to a number of varied applications the yew is popular with landscape architects. In general, it is one of the most important landscaping plants.